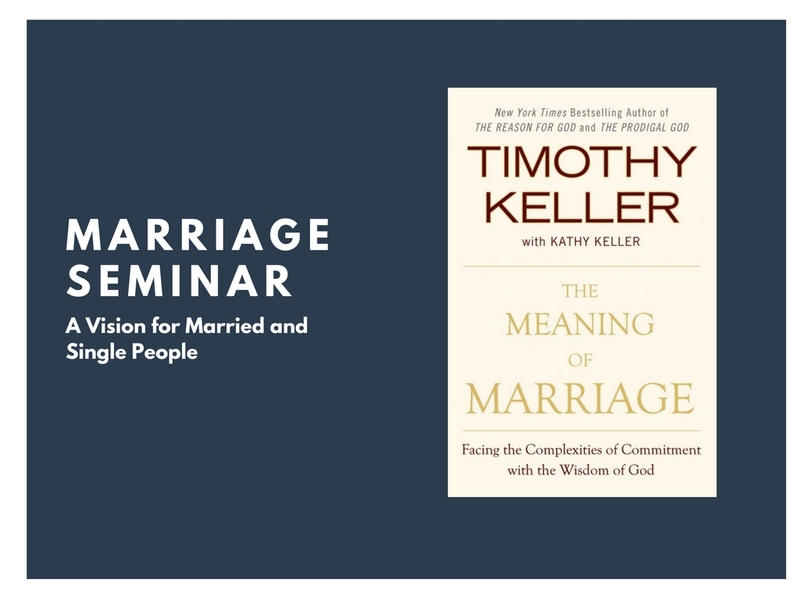 The Family Ministry Marriage Seminar, a 6 week book and video series by Timothy and Kathy Keller “The Meaning of Marriage: A Vision for Married and Single People” is starting at the end of February. Modern culture would have you believe that everyone has a soul mate; that romance is the most important part of a successful marriage; that marriage does not mean ’til death do us part, but merely for as long as my needs are being met; and that when serious differences arise, divorce is the best solution. According to the Bible, all of these modern-day assumptions miss what marriage is all about. In The Meaning of Marriage—a six-session video-based Bible study—Timothy Keller, along with Kathy, his wife of forty years, draws a profound portrait of marriage from the pages of Scripture that neither idealizes nor rejects the institution but points us back to the relationship between God and man. The result is a vision for marriage that is refreshingly frank and unsentimental, yet hopeful and beautiful. Cost? Each participating person or couple should purchase The Meaning of Marriage book and study guide (available for less than $20 total on Amazon). RSVP. For more information, or if you would like to participate in the seminar, please contact or RSVP Isaac at isaacbruning@gmail.com with your name and the name of your spouse or significant other if you are participating as a couple. Childcare will be provided for those who need it. When you RSVP, please include the name of each child (and the child’s age) who will need care, so that we may know plan accordingly.